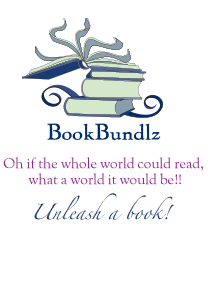 BookBundlz - Teens Books Welcome to BookBundlz - Your book club & reading group resource. - Unleash a Book! THE INSTANT #1 NEW YORK TIMES BESTSELLERFrom YouTube sensations Dan Howell (danisnotonfire) and Phil Lester (AmazingPhil) comes a laugh-out-loud look into the world created by two awkward guys who share their lives on the Internet. The #1 New York Times BestsellerGraceling meets The Selection in debut novelist Victoria Aveyard's sweeping tale of seventeen-year-old Mare, a common girl whose once-latent magical power draws her into the dangerous intrigue of the king's palace. In one devastating night, violin prodigy Etta Spencer loses everything she knows and loves. A #1 New York Times bestsellerKetterdam: a bustling hub of international trade where anything can be had for the right price--and no one knows that better than criminal prodigy Kaz Brekker. #1 New York Times best seller!Booklist Editors’ Choice 2015 - Youth!Named a "Best Book of 2015" by Time Magazine, School Library Journal, Barnes & Noble, NPR, PopSugar, The Millions, and The News & Observer!Simon Snow is the worst Chosen One who's ever been chosen. “Eleanor & Park reminded me not just what it’s like to be young and in love with a girl, but also what it’s like to be young and in love with a book. The Instant #1 New York Times BestsellerIf you love Eleanor and Park, Hazel and Augustus, and Mia and Adam, you’ll love the story of Maddy, a girl who’s literally allergic to the outside world, and Olly, the boy who moves in next door . In Rainbow Rowell's Fangirl, Cath is a Simon Snow fan.